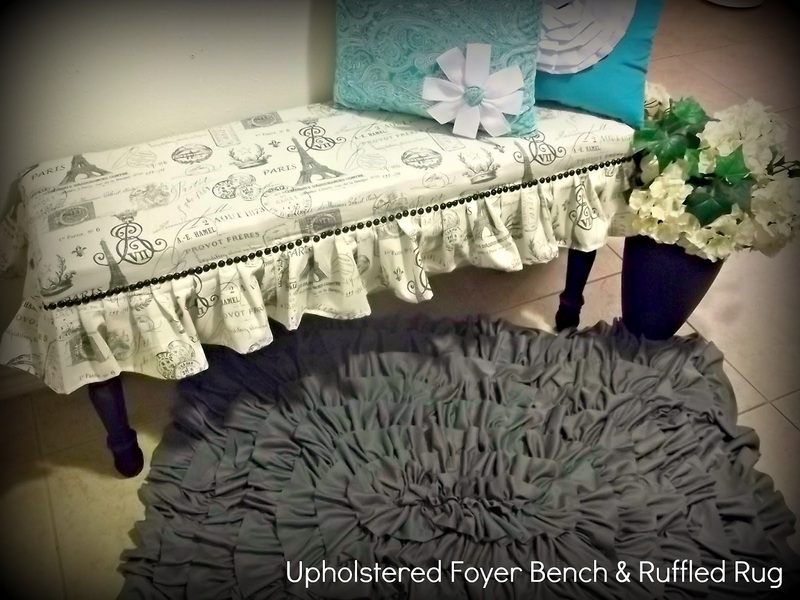 Upholstered Foyer Bench...SYTYC Winning Project...Part 2!!! I have to tell you of all the projects I made over these past few months, I really am in LOVE with this one! It could be the slight love affair I'm having with anything gray at the moment, but really, there is just something super fantastic about this bench that makes me smile. So let's spread the happy and make a few more! I started with the frame-basic 2x4's for the sides and center support and MDF cut to size for the top. As far as measurements go, I can tell you my bench is 12 inches wide by 4 ft long. But the great thing about this is it can be how ever big or small you need. And even better, if you need to have wood cut, the boys at Home Depot or Lowe's can cut it all to size for you! Also, I used a nail gun to put it all together, but screws work too if you're more of a drill kinda girl! These are straight top plates. You'll find them next to the table/chair legs, which you'll also need to grab 4 of--size and shape of your choosing. Because I wanted my bench just a bit taller than the legs Lowe's had I added a chunk of 2x4 to each corner. But if your legs work for your bench go ahead and add the plates to each corner and then screw the legs into place. Once it's dry add the foam to the top, cut and shape it to fit your bench. Repeat the same process with your fabric. I laid mine out over the foam and then trimmed it so that it hung past the bottom of the foam by at least an extra inch in each direction. I started on the long sides. Turn the fabric under so that it lines up with the bottom of the MDF piece of wood and then staple it into place with a staple gun. Repeat on the opposite side, beign sure to pull the fabric tight before you fold and staple. Then move to the short ends. I folded the fabric like I was wrapping a present, again just be sure to pull the fabric tight before you staple it into place. For the ruffle, I measured all the way around my bench and then doubled it. I cut strips of fabric that were 7 inches wide and sewed enough of them together to get the length I needed. I also added a rolled hem to the bottom. I started by folding about an inch of fabric back and stapling that into place at the top of the 2x4 frame. From there I worked in pleats all the way around the bench. Last I added the upholstery tacks to the gap between the two boards/fabrics using a hammer when needed. If tacks aren't your thing a fun ribbon or trim would look really good too. You could even omit the ruffle and just do trim...so many possibilities! From there, sit back on your cozy little bench while your toes flirt with the ruffles on your new rug and welcome your guests with a smile. 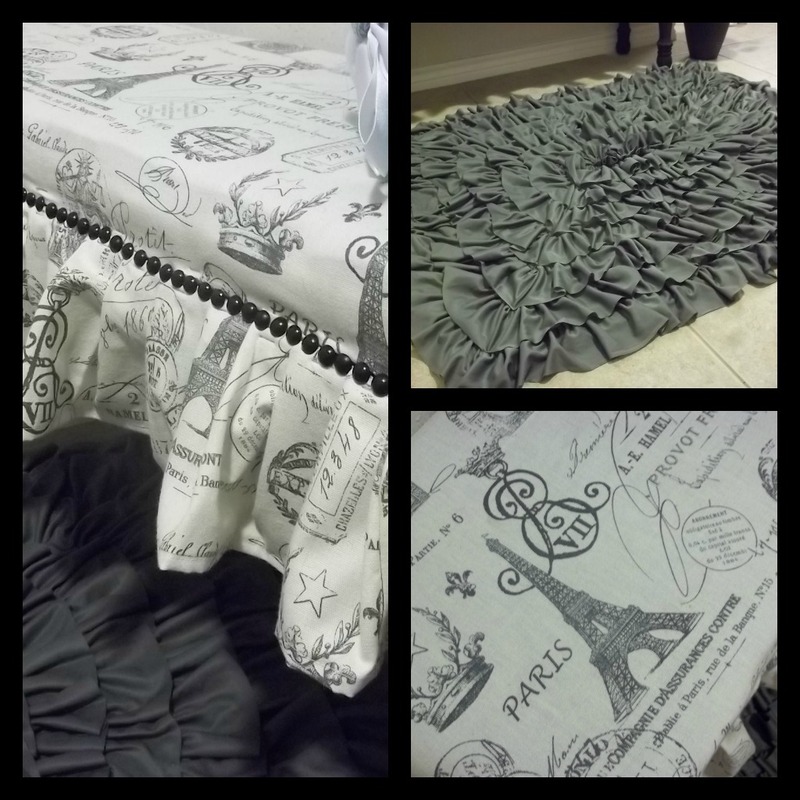 Ruffled Rug Tutorial...SYTYC Winning Project part 1!!! I guess I'll start with telling you how I made this little combo, starting with the rug. This really was easy, just took a little bit of time. I had a bunch of canvas drop cloth left over from my camp chairs so decided to use that as the base for the rug. (4 ft 1 inch x 10 ft 1 in). Folded it in half, sewed the two side seams, flipped it right side out, tucked under 1/2 an inch and sewed it shut. Using a sharpie and a yard stick I marked out the lines for my ruffles. I cut my ruffle fabric (jersey knit so I didn't have to hem it!) into 4 inch wide strips so my lines are 2.5 inches apart, allowing for lots of overlap. I marked the rectangles all the way into the center until there wasn't enough room for another one and then just ran a single vertical line down the center. From there I just started sewing! I am super great at "short cuts" so I didn't pre-ruffle my ruffles. I just tuck and gather as I go using my lines as a guide so things stay straight. But if you are a rule follower, go ahead and ruffle way, pin along the lines, and then sew. I used approximately 4 yds of fabric, and cut my strips so that they were 4 yds long x 4 inches wide. I sewed each line individually-finishing one square and then starting the next one with a seperate piece of fabric. Once I got to the center (that single vertical line) I ruffled the fabric down the center of the strip instead of the edge, using the line as my guide. That way, everything was filled in and looked finished. Last, I went back through with a needle and thread and tacked down the ruffles at the corners and a few spots along each line of ruffle of keep the ruffles in place. And then she's done! So cute and ruffle-y! Thank you again, so much, for these past 10 weeks. 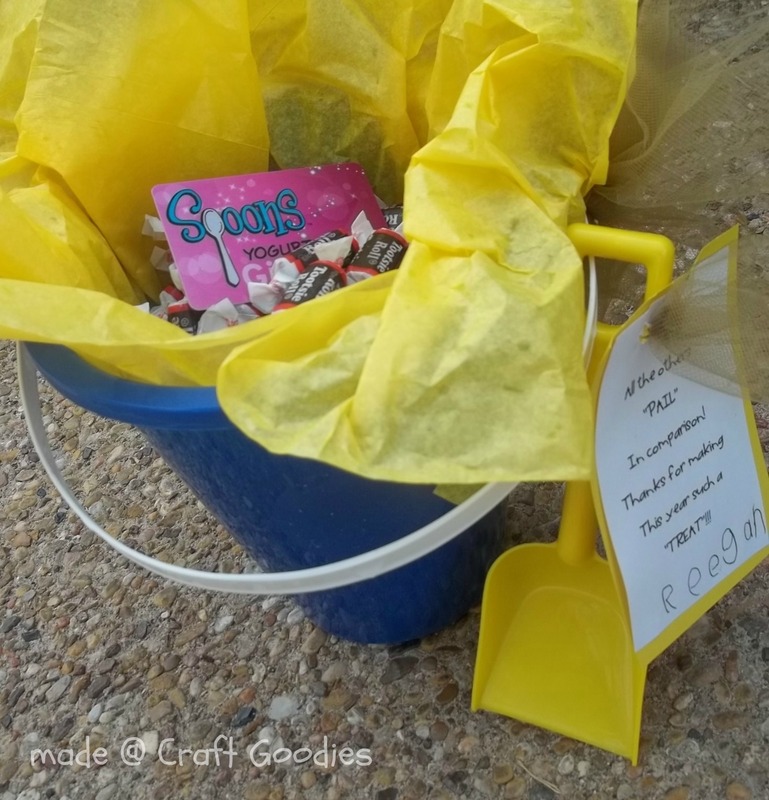 I have loved every project and have added so many projects to my "to-make" list. The ladies I shared this season with are so very talented and inspiring. Thank you and happy crafting to you all! 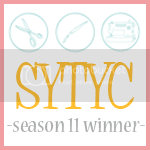 SYTYC Week 10...WILD CARD FINALE PROJECT!!! ***So here it is. My final project for SYTYC. It's either me or Angela...go vote for one of us, please? I'm still a bit amazed that I'm here. This has been a wild and crafty ride, but oh so much fun! Thank you for all the votes that have kept me here and for helping me to scratch a few projects off of my to-make list. This theme had me at a bit of a loss, but for different reasons than those past. I decided to focus on the foyer/entry way in the new house and came up with a really neat looking upholstered bench and super cute ruffled rug! The bench was really a simple project-the wood part anyway. Upholstery was new for me. The tacks were such a fun addition, and while they aren't perfect, they make such a difference.Oh! And that rug! It's been whirling round in my mind for such a time now, I just needed the right kick in the pants to get it done. It was pretty easy too. Canvas drop cloth for the base and a soft jersey knit for the ruffles. So again, thank you so much for the past 10 weeks--it's been amazing. And my new house thanks you too, for keeping me in this long enough to make something just for it! Happy crafting friends! 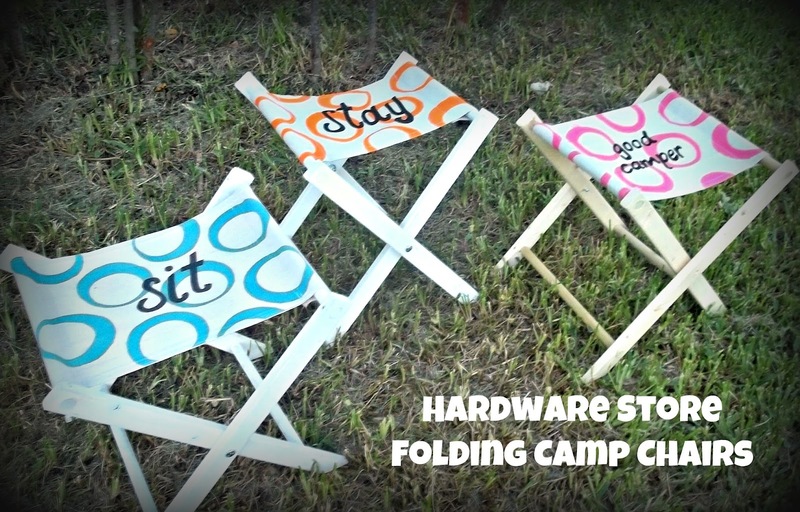 How To Make a Folding Camp Chair!!! Let's get going, summer is here and there are camp outs to attend. First, hit the hardware store and gather your supplies. You'll also need a drill with a 1/4 inch and 1/8 inch drill bits, a 3/4 inch spade bit, a Phillips head screw driver, and a little bit of sandpaper. If you have a milter saw or miter box and hand saw you can cut the wood pieces yourself, otherwise take the measurements and have the boys in the lumber dept. cut them down for you. Cut the furring strips into 8 pieces that are each 22.5 inches long. 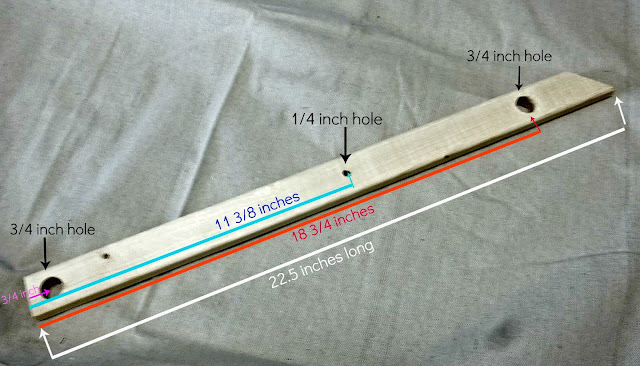 Use the milter saw/box to cut a 45 degree angle on one end of each piece. Cut the dowels into 4 pieces that measure 14 inches long each, and 4 pieces that measure 12 3/8 inches long each. and draw a light pencil line all the way down the piece marking the center--this will help to ensure your holes are stay centered. Using the square end as your starting edge and measuring down toward the angled end make a mark at 3/4 of an inch, 11 3/8 inches, and 18 3/4 inches. Use the 3/4 inch spade bit to drill out holes at the 3/4 and 18 3/4 inch marks--place the point of the bit onto pencil line/mark to keep things straight. Drill a 1/4 hole at the 11 3/8 inch mark. Sand the edges of the drilled out holes. Repeat for the remaining 7 leg pieces. Paint the legs and dowel pieces and set aside to dry. Open the drop cloth and cut two pieces that measure 19 3/4 inches x 12 1/2 inches. Hem the long sides first by folding under 1/2 inch, pressing flat, and then folding again another 1/2 inch, press and sew a 1/4 inch seam. Repeat on the other long sides. 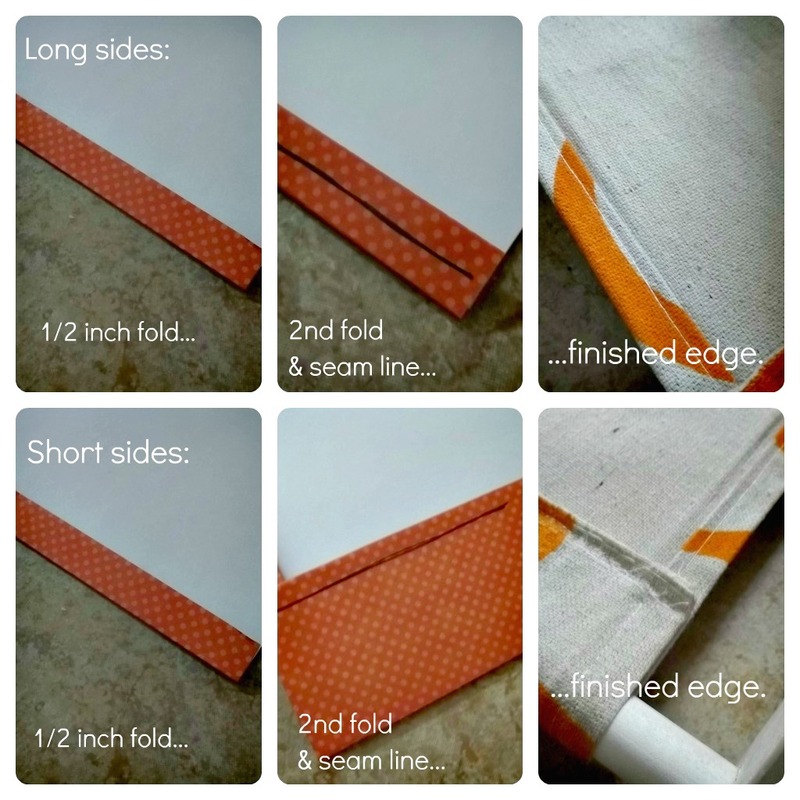 Hem the short sides by folding in a 1/2 inch and pressing flat, fold in another 1 3/8 inches, press and sew a 1/4 seam along the first fold creating a pocket for the dowel to slip through. From there you get to paint! I used freezer paper to create my design, ironed it onto the canvas and then painted away. Super fast and easy--especially if you have a cricut or silhouette. 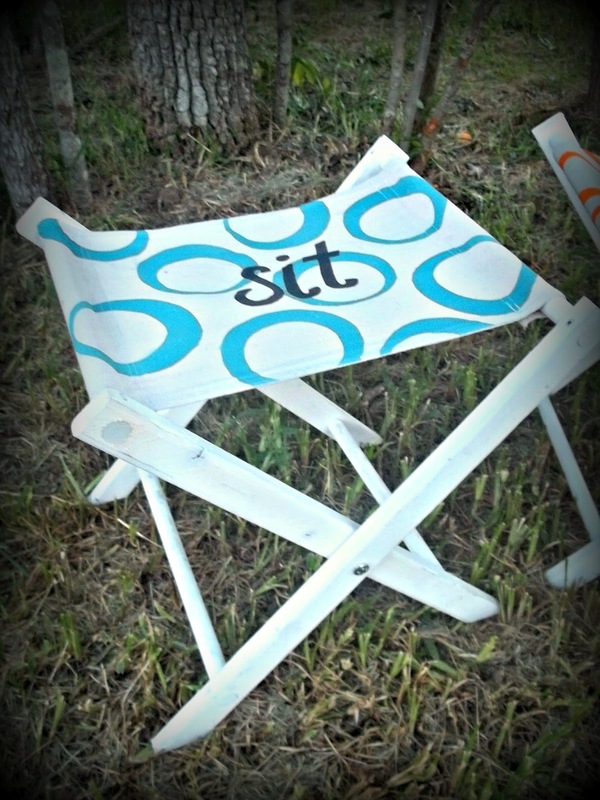 How fun would it be to add a monogram or name, or even a personalized symbol of the sitter? Me, I went for bad humor...sit, stay, good camper! Once the paint is dry, all the pieces are ready to go so let's assemble some chairs. Each chair needs 4 leg pieces, 2 of the longer dowels, and 2 of the shorter dowels. Connect two leg pieces with the two long dowels and the other two legs with the two shorter dowel pieces. Slip the leg assembly that has the shorter dowels into the assembly with the longer dowels this time being sure that the angled ends are opposite of each other. Place a washer between the two leg assemblies and then insert the carriage bolt through the outside leg, the washer, the inside leg, add another washer, and then secure with the nut. Stand the chair upright and pull out the upper dowels, slip the canvas seat onto the dowels and then replace the dowels into the leg assembly. So close to done! Secure the dowels into the leg pieces. Drill a shallow pilot hole with the 1/8" bit where the dowels intersect the leg pieces--8 per chair. Use the screwdriver to insert the flat head screws into the leg/dowels. Touch up any paint that might have gotten scratched in the assembly process and the sit your self down and enjoy your new little treasure! Thanks again, so much for another fun week and for all those votes keeping me here. It's been amazing to be a part of this! Survived another last day of school, although this one was a lot harder than I remember the others being. 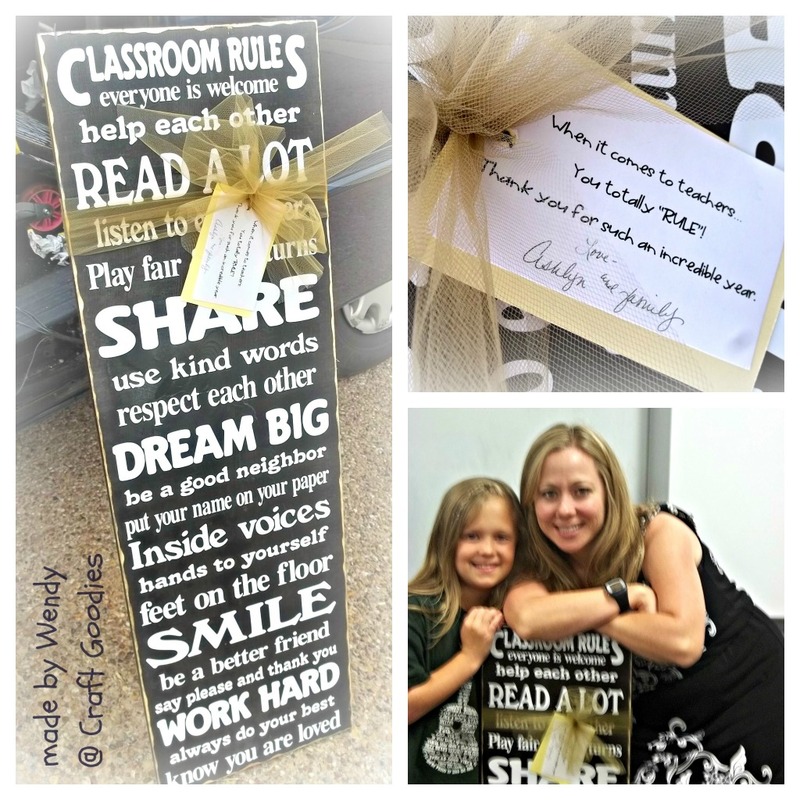 I am always sad realizing that my babies are getting older but this year we are leaving two truly fabulous schools and some incredible teachers. 4 of the 5 Mrs' were given "Classroom Rules" boards. I asked my kiddos to tell me the rules that their teachers tell them and we turned that into a fun little list for them to display in their classrooms. ...a bucket filled with favorite candies and a gift card! "All the others PAIL in comparison! Thanks for making this year such a TREAT!" My baby is modeling pre-wrapping job. I almost didn't get it off of her! 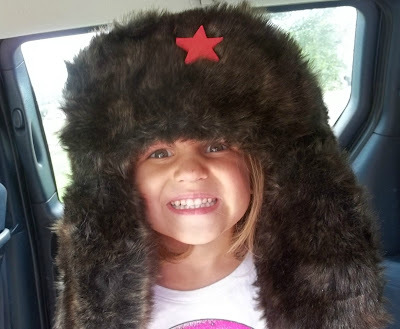 ...he put in so many tickets to win the "Russian" fur hat she was raffling off and then didn't win. She wanted him to have one so that's what we made him. He was beyond thrilled--it completely made her day! One very eventful and incredibly successful school year all wrapped up with tulle and a ton of gratitude. SYTYC Week 8...Hardware Store Project!!! So You Think You're Crafty Season 11 Champion. Seriously, crazy--here's the project that got me there...stay tuned for the tutorial and thanks for voting! Aren't these perfect for a camp out? Or a parade, ballgame, picnic, beach trip? Yes! To all of the above. They were so fun to make, and yes, I found everything at my favorite little boutique. Maybe you've heard of it--Lowe's. I hit the lumber, hardware, and paint aisles to collect 1x2's, bolts, paint and a canvas drop cloth. 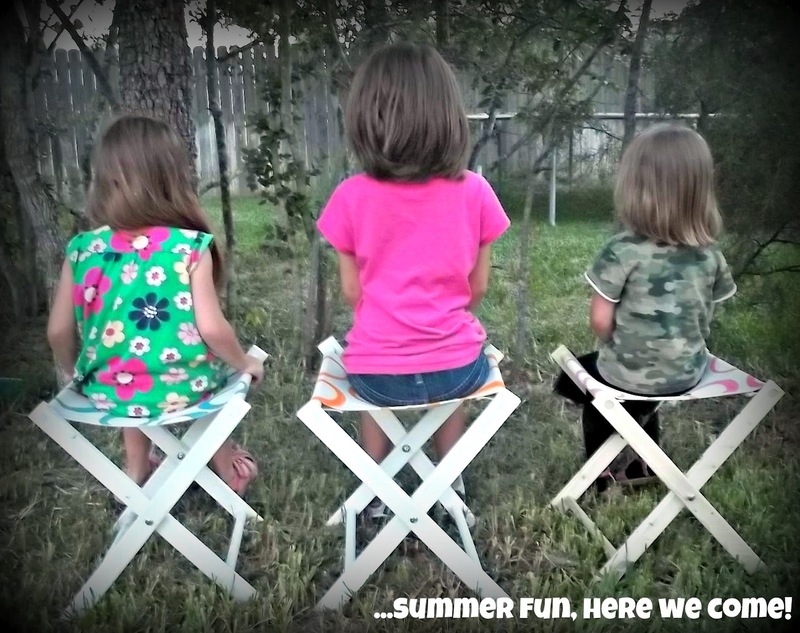 And together they became these awesome folding stools that my girls are mad over! They are so easy to fold up, carry, and then set up again that we can take them everywhere. I'm thinking it's going to be a great summer!